18 years experience challenging ambitious brands to be bolder in their use of digital and social media. I have had a rich career: leading agencies and teams; advising founders, boards and government ministers; launching brands and digital businesses; strategy and planning; producing award-winning campaigns, apps and websites. 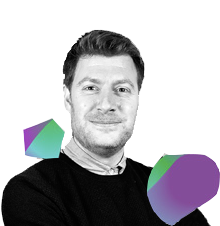 I am now a partner at Good Rebels where I lead teams in the UK and internationally, work with global clients on digital marketing, innovation and transformation strategy, and sit on the board that manages Good Rebels across Europe and Latin America. As I sit, next to a roaring fire, in my favourite slippers, sipping a warming eggnog, my thoughts turn to that most welcome of seasonal traditions, the 2018 predictions list.